When you visit a clinic that is a part of the dermaviduals family of providers, you’re in for something different…something better…something you may not have experienced before…a personalised skin care regimen plus products that are custom-tailored to your individual needs. In business, in life, and especially in skin care, you can’t manage what you don’t measure. In other words, you need a proper diagnosis of the state of your skin’s health so you can take the proper steps to correct any problems you may be experiencing. In this post, we’re going to help you do just that. 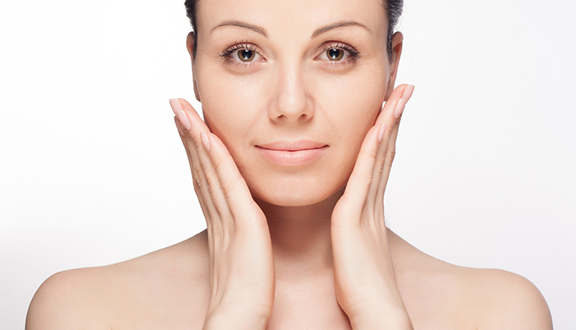 Corneotherapy is a preventative approach to skin care that works from the outside in. The focus is on repairing and strengthening the barrier function of the skin; the protective, outer layer of skin called the stratum corneum.That is the essence of corneotherapy and dermaviduals’ science-based approach to skin beauty. The epidermis is a paper-thin outer layer of skin, consisting of cells that flake and wash away. The dermis contains blood vessels, nerves, hair follicles, sweat glands and oil glands. It makes up about 90% of the skin’s thickness and is made up of collagen and elastic fibres that give the skin strength and elasticity. The subcutaneous layer is the deepest layer of the skin, composed primarily of fatty tissue. Corneotherapy addresses the needs of the epidermis,with special focus on the outermost layer of skin and its function as a protective shield. The tightly packed cells of the stratum corneum prevent irritants, debris, toxins, and antigens from attacking the skin, while simultaneously holding in moisture and preventing dry skin. Typical skin care preparations, even those sold at luxury cosmetic counters at high-end department stores, focus primarily on delivering soft, supple skin. That’s understandable because they contribute to a youthful appearance. However, it’s much more effective to focus on skin barrier defence. Naturally moisturising ceramides, hyaluronic acid, cholesterol, triglycerides, phospholidids, urea, glycerin and ingredients that mimic the lipids within your skin. Consider our DMS Membrane Base Cream. It is a multi-functional defense system that keeps harmful substances from penetrating below the surface. With this protective shield in place, it’s easier to repair and maintain skin tone, texture, and beauty, with our bio identical skin ingredients. It’s never too soon or too late to be kind to your skin. Contact your aesthetic professional today to learn more about corneotherapy and the dermaviduals products that can give you the glow of good health from head to toe.